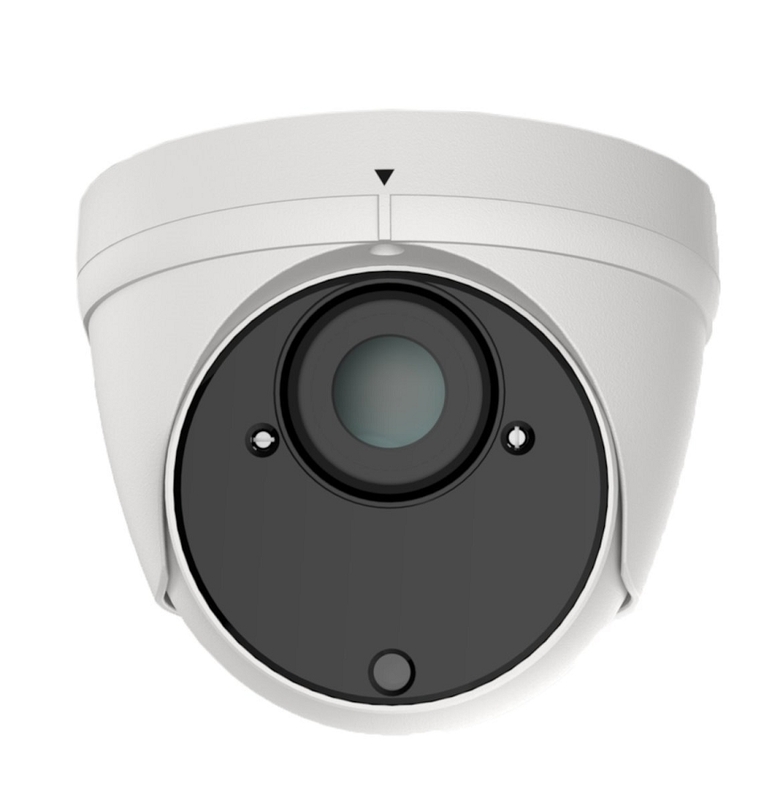 The TVI-VDIR-1080 dome camera is weatherproof and vandal resistant. Comes with a 2.8~12mm varifocal lens , 40 Smart IR LEDs and 1/2.7" Progressive Scan CMOS sensor. This combination provides an excellent surveillance camera for most any situation. Day/night function allows for full color images in adequate lighting or black and white images in low light. The night vision infrared range is 110 ft. in complete darkness and the Smart IR technology adjust the brightness to avoid infrared overexposure on objects close to the camera or very reflective. 3-axis eyeball design makes installation on walls or ceiling easy along with front focus and zoom controls. This 4-in-1 HD dome camera comes in white or black and can be used with any HD-TVI, AHD, CVI or Analog DVR.